Here is the ‘Do What You Love’ kit. It’s happy, It’s fun, It’s here to make you smile. The perfect first kit for 2019. What more could you want? 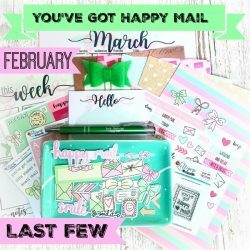 This kit include lots of exclusives such as stickers, papers, notepad, planner lists, 2 piece stamp set, mystery gift and lots and lots of surprises. Everything inside comes beautifully wrapped so you feel like you are receiving a whole box of gifts. 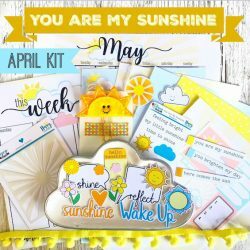 This kit is ideal for those who plan, scrapbook, journal, have penpals, love to create and also love receiving surprise happymail each month. We have big changes coming for the new year. The kits are seeing some big improvements. 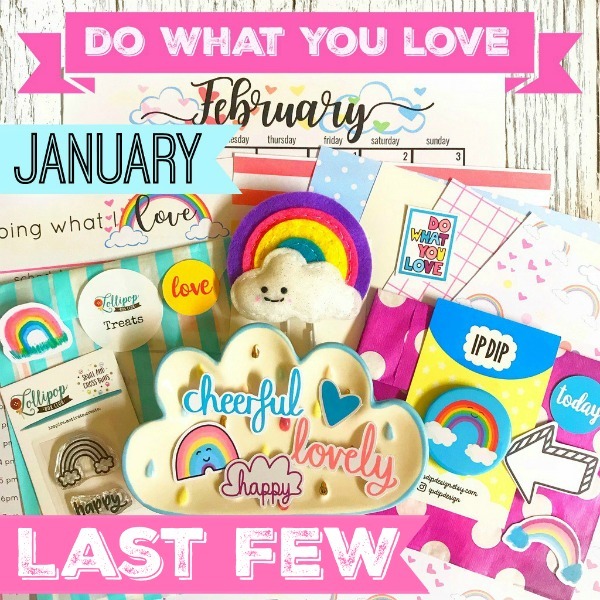 We have just introduced the new ‘Planner Insert Sets’ which you can purchase here. This planner set coordinates with this kit. 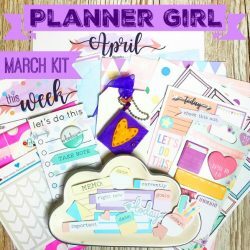 If you receive both you will be receiving the perfect planner kit.